But now, having updated to the most recent version of Universal Control (1.7.5.5) for our StudioLive 24.4.2 board, we still are experiencing the same problem. Devices with the new Qmix and SL Remote won't appear in Remote Device section and can't be assigned or given permissions. 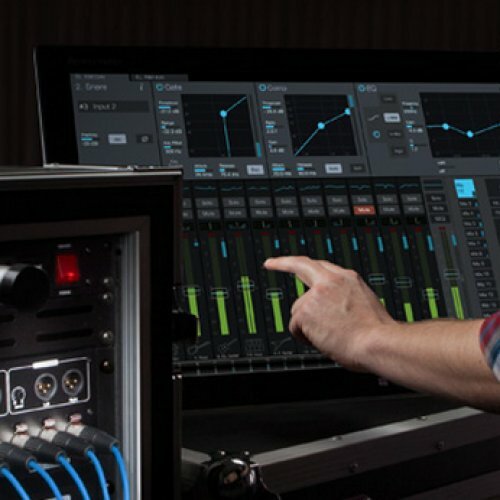 The strange thing is that we know these devices are able to connect to the Universal Control VSL system because when we open Qmix, we can see the level meters spike on the screens whenever sound goes through a mic or instrument channel, but we are unable to control the various volume levels to do monitor mixes for each aux channel. Qmix and SL Remote were updated initially for iOS 11 64bit compatibility. This broke permissions. They were subsequently updated again, and that fix is what required an updated Universal Control in addition to the updated iOS apps. It sounds like you may have done the first iOS updates, then updated Universal Control, but have not yet done the latest iOS updates? This is simply a mistake in the way the installer is reporting version. The same thing happened to us. We have 5 older ipod touches that can still connect and remember their permissions, but they don't show up in the remote devices window to have their permissions changed. I cannot update them to the latest qmix because it requires iOS 8. So then, if I downgrade universal control to 1.7.3 and keep the older qmix, why does it still not show up?